Continuing on from last week and the theme of new events and controversy. This week we have something very new and an opportunity to present something unique. 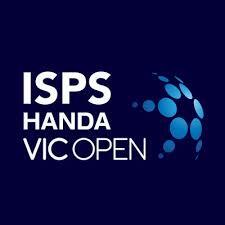 The men’s event will be co-sanctioned by the European Tour and the ISPS PGA Tour of Australia. The ladies event will be tri-sanctioned by the Ladies European Tour, the Ladies PGA Tour and the ALPGA Tour. In total there will be 312 players competing from the various tours, all looking to grab their piece of the $3,000,000 prize fund. Over the first two days both courses will be in use, come Saturday both the men’s event and the ladies event will be cut to 65 and ties , with everyone playing the Beach Course. A further cut will then be made on Sunday with only the top 35 and ties from each event playing the final round once again on the Beach Course. But perhaps the key feature of The Beach Course is its wonderful set of par 3’s. Starting at the brutal 180m 3rd hole to the dainty yet sinister 113m 16th, the par threes of The Beach Course offer golfers of all levels a true test of their iron play, yet are mouth-watering to the eye. The Creek Course has gently undulating couch fairways, and huge, deep bunkers filled with yellow sand. It has firm, true greens surrounded by interesting bumps, swales and hollows, all closely mown. There is also plenty of greenside bunkering that cuts into and helps mould the slopes of the putting surfaces in the best traditions of Melbourne’s Sand Belt much admired by Faldo, who has spoken previously of his love affair with Mackenzie’s work at Royal Melbourne. The native couch fairways are over-seeded with fescues. This provides both an excellent, green playing surface year round, and a quick transition back to couch dominance in spring. Beyond the fairways there is generally a wide zone of maintained short rough prior to either long pasture grasses or the residential areas under development. Very much an accuracy week. There is no real need to kill the ball off the tee on these relatively short courses. Creating chances organically by finding fairways and hitting greens looks to be the right way to approach the entire week. Wont be investing too much this week in cash, gpp or betting. I feel this week is far more unpredictable than most weeks and although I may regret reducing participation whilst on a heater, landing bets and building contending line ups with low entries. I always believe you have to gamble sensibly and know when to back off. Anyway ladies and gents that’s me done for this week and my apologies for a somewhat rushed write up, I now have bags to pack, a quick practice round to squeeze in and a PGA report to complete before I set off for Portugal to play in the Golf Villa Rentals Pro-Am at Monte Rei. As always I’m gonna be available through twitter for any questions you have and if your interested no doubt there will be a few videos and pictures posted there of my week away at one of the best courses in mainland Europe.